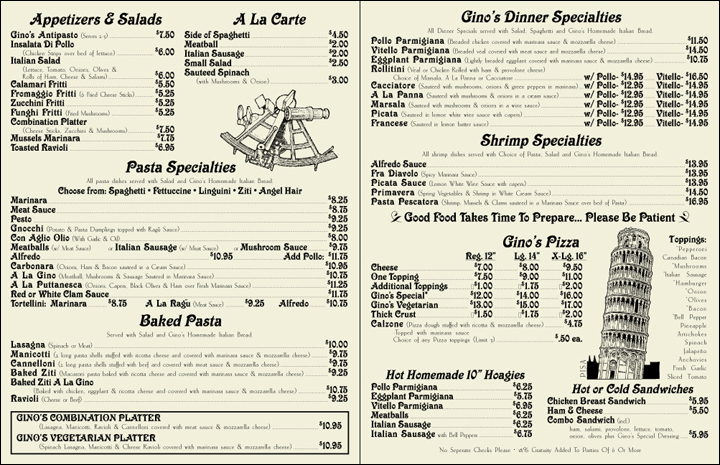 This was the first of two different menus I designed for Gino's Italian Restaurant in Round Rock, TX. This was actually the closest (physically) restaurant to my house at the time! I used some old-fashioned looking clip art on the inside, but had to illustrate and create the antiqued map for the front cover. The original menu was actually printed on a parchment paper, so I've "faked" that effect here. 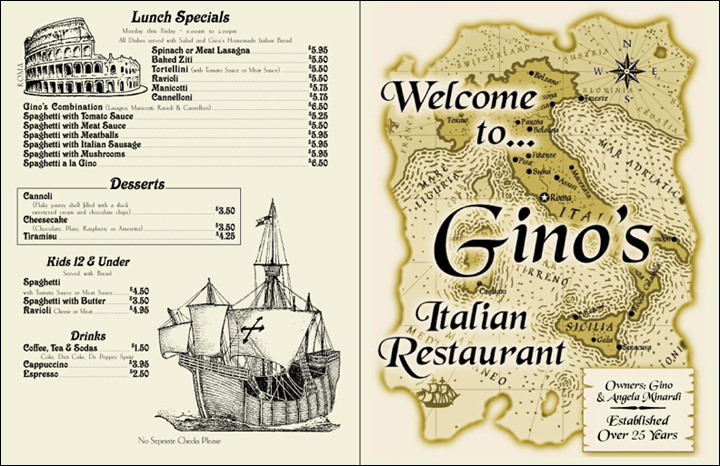 The second version used the map as a background on a non-folding 11x17 sheet menu. The top shows the front & back, the inside pages are below.